From DNA pioneer Rosalind Franklin to the NASA mathematicians in the film “Hidden Figures,” the historical contributions of women to science are increasingly coming to light. And a new study by San Francisco State University researchers shows that it’s possible to reveal women’s once-hidden scientific work by analyzing decades-old research papers in the field of theoretical population biology. 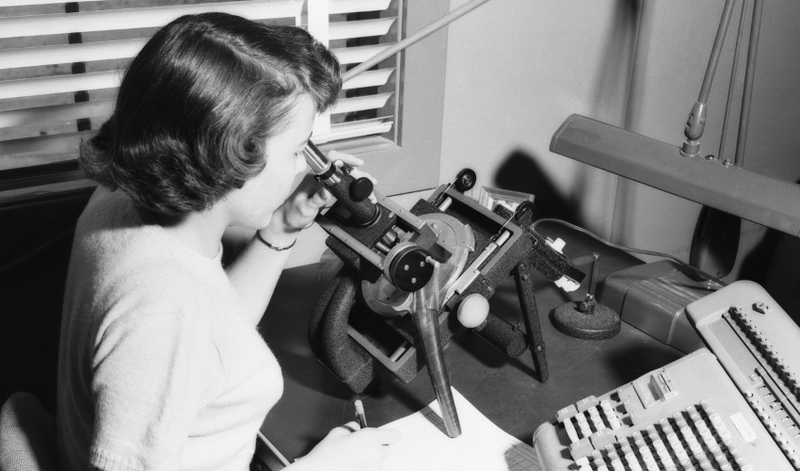 The implications of the study stretch far beyond that particular field of science, and the historical bias shown by the research likely continues to impact the representation of women in the discipline today. To peek into the history of their discipline, Rohlfs and Brown University Assistant Professor of Ecology and Evolutionary Biology Emilia Huerta-Sánchez took advantage of how scientific research papers are structured. Being listed as an “author” of a scientific paper is the primary way scientists receive credit for their work and is critical to securing both jobs and research funding. But those who contribute less to a paper are sometimes listed in the “acknowledgements” section, buried at the bottom and rarely read by other researchers. Despite the importance of authorship in determining career success, there are no standardized rules for how much work a scientist needs to do in order to earn recognition as a study’s author. So when Rohlfs and Huerta-Sánchez noticed that many women seemed to appear only in the acknowledgements section of decades-old studies in their field — despite what appeared to be important programming contributions — the duo saw a chance to measure just how much the scientific work of women had been overlooked. Through the decades, the study shows, the proportion of women programmers in the acknowledgements shrank. That shift tracked broader trends in the workplace, as programming went from a “pink collar job” associated with women to one perceived to be both more masculine and more prestigious. The researchers reported their results in the journal Genetics on Feb. 7. “Some of these programmers were doing really creative work and making substantial contributions,” work that today would likely qualify them for authorship, said Rohlfs. Several names were repeated in the acknowledgements sections of multiple papers — like Margaret Wu, who contributed to a study describing a way to estimate genetic diversity that became one of the most influential papers ever published in the journal. One goal of publishing the research was to shift that dynamic by highlighting the historical contributions of women to the discipline. “Making women in the field more visible could actually help to improve equity in the field,” Rohlfs said. But population genetics is far from the only field where programmers historically had a large role. So the team plans to look for more traces of women’s hidden contributions to science, and hope that their study will serve as an inspiration for other scientists to put the history of their own disciplines under the microscope. Other co-authors of the study are SF State alumni Samantha Kristin Dung, Andrea López, Ezequiel Lopez Barragan, Rochelle-Jan Reyes, Ricky Thu, Edgar Castellanos and Francisca Catalan. This work was funded by a National Science Foundation grant (NSF-DEB-1557151) and a San Francisco Building Infrastructure Leading to Diversity (SF BUILD) National Institutes of Health grant (1UL1-GM-118985).